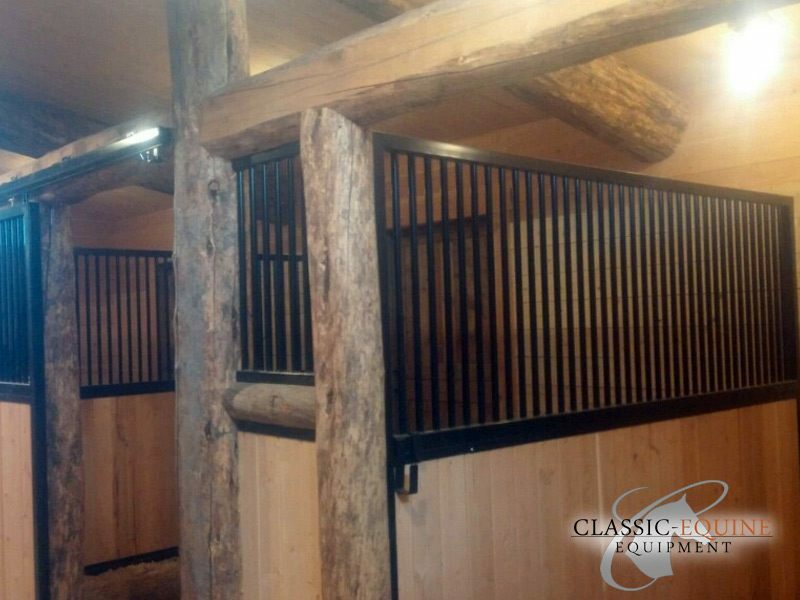 Project Details: Black Mountain Ranch was in search of a high quality stall manufacture to custom build a series of fronts incorporating their existing log structure. Because each measurement is so critical when engineering a front into existing framework, the details were crucial. 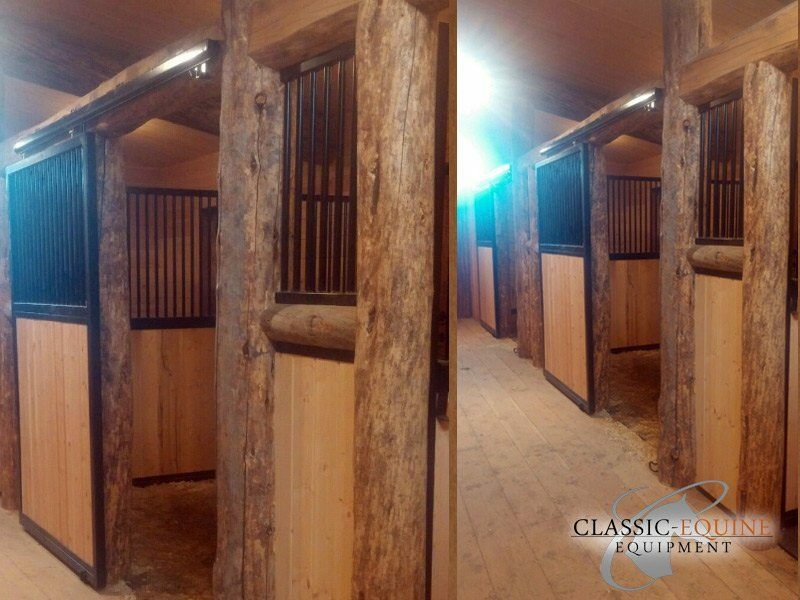 The end result is an impressive stall front flawlessly integrated into the existing wooden beam structure of the barn. 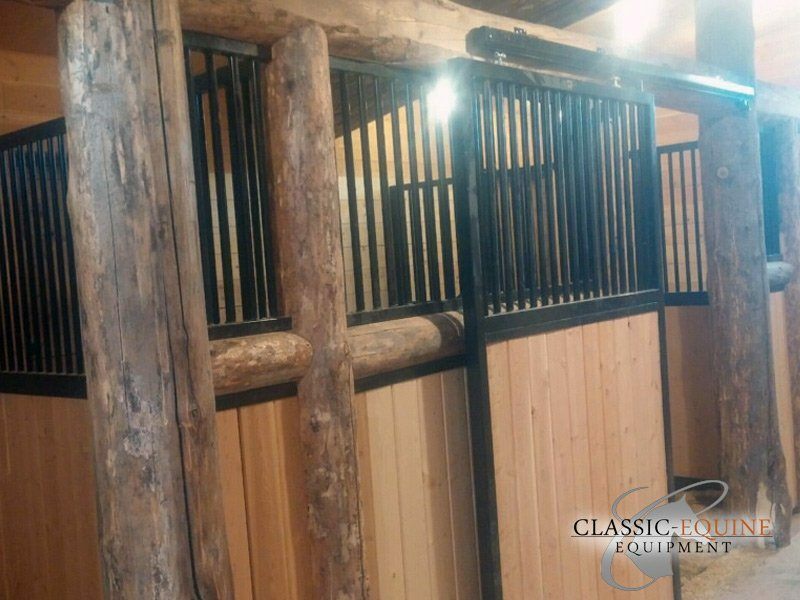 Product Specs: Each specific grillwork section is a fully framed and welded piece that fits into a specific opening in the log structure. 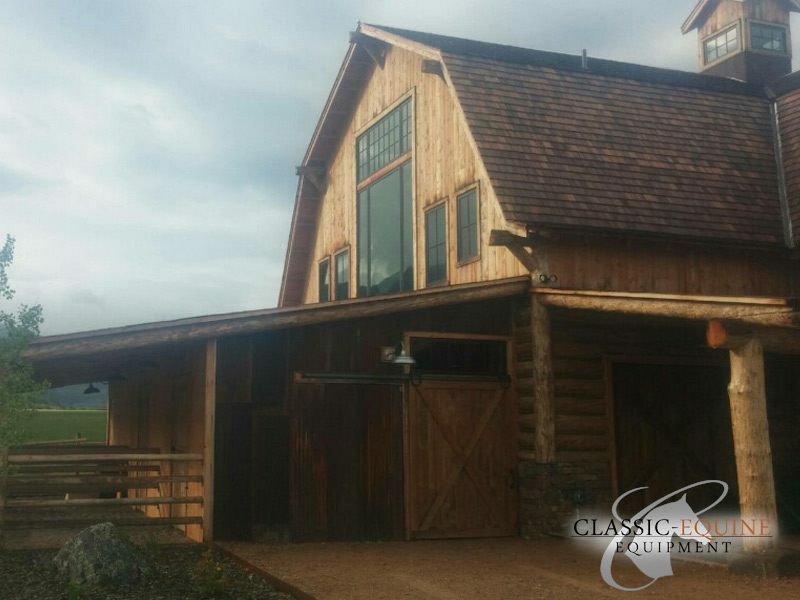 The customer wanted a simple yet high quality front that did not overpower the log structure itself. Because the measurements and details were precisely determined upfront, the installation was seamless. 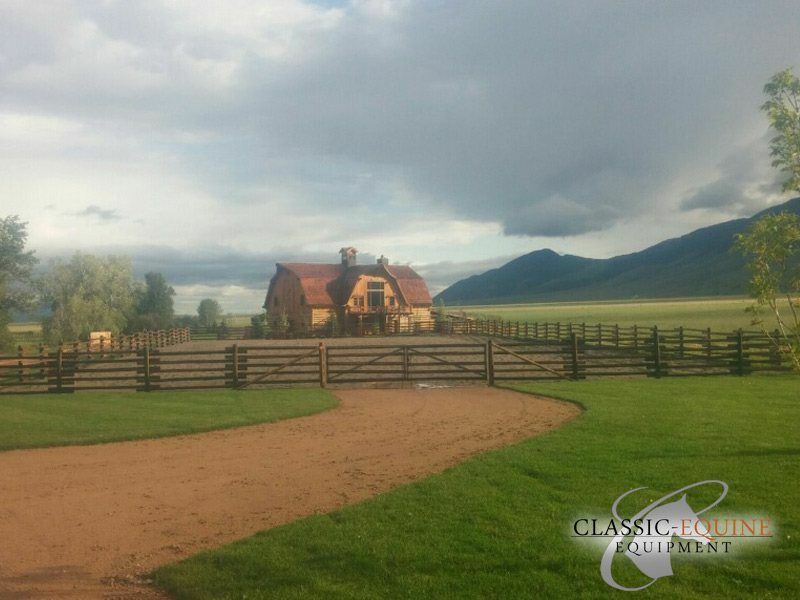 Classic Equine Equipment would like to thank Kyle Nelson and Black Mountain Ranch for allowing us to be a part of such a beautiful project!